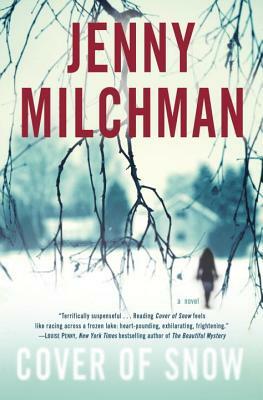 Jenny Milchman's Cover of Snow is a remarkable debut, a gripping tale of suspense in the tradition of Gillian Flynn, Chris Bohjalian, and Nancy Pickard. The first few hours following Nora's devastating discovery pass for her in a blur of numbness and disbelief. Then, a disturbing awareness slowly settles in: Brendan left no note and gave no indication that he was contemplating taking his own life. Why would a rock-solid police officer with unwavering affection for his wife, job, and quaint hometown suddenly choose to end it all? Having spent a lifetime avoiding hard truths, Nora must now start facing them. Unraveling her late husband's final days, Nora searches for an explanation--but finds a bewildering resistance from Brendan's best friend and partner, his fellow police officers, and his brittle mother. It quickly becomes clear to Nora that she is asking questions no one wants to answer. For beneath the soft cover of snow lies a powerful conspiracy that will stop at nothing to keep its presence unknown . . . and its darkest secrets hidden.